Barrett 17269: Barrett's Fieldcraft is the perfect combination of ultra lightweight design and heavy-duty performance. The stock is crafted from carbon fiber to provide a light yet rigid platform, while the vertical grip is unobtrusive. The barrel and action are made from 416 stainless steel and held to an exact tolerance for smooth, fluid action. The button-rifled barrel is precision-honed, contoured, and crowned. Its bolt handle is attached to the bolt using a t-groove, rigidly fitted, and pinned in place. A total of five 8-40 screw holes in the top of the receiver provides the user flexibility to move the front mount forward. This Sub-MOA rifle has a crisp, user-adjustable, single-stage Timney trigger, a top-loaded 4-round blind magazine, and two-position safety, with low profile geometry to reduce its protrusion. 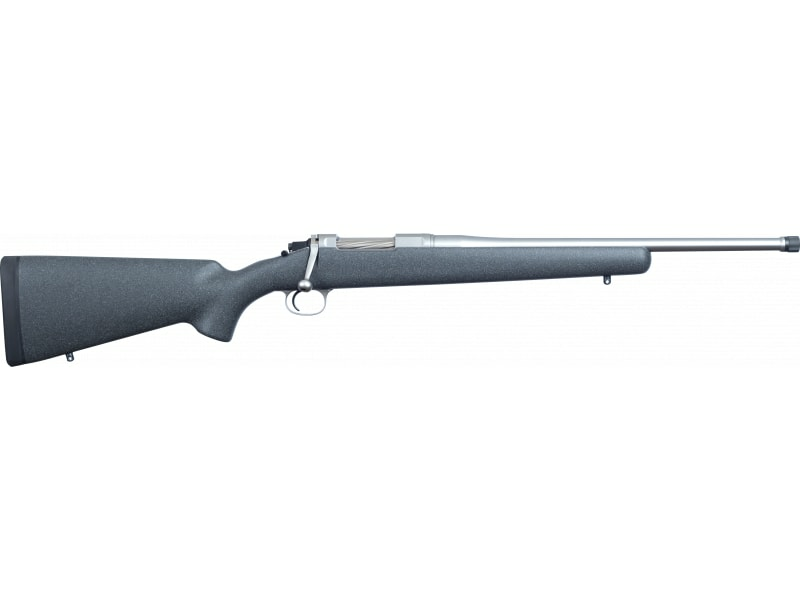 This model is chambered in 6mm Creedmoor with a 18" 5/8x24 threaded barrel.